The Split Seconds burst onto the Washington DC punk rock scene in 2015 contributing their distinctive blend of 70's-style punk mixed with undertones of classic pop, rock, and reggae. Rapidly, the Split Seconds garnered a reputation for being one of the tightest and most entertaining acts in DC. A stellar set at Upstart Fest brought The Split Seconds to the attention of Altercation Records who signed the band in 2016. 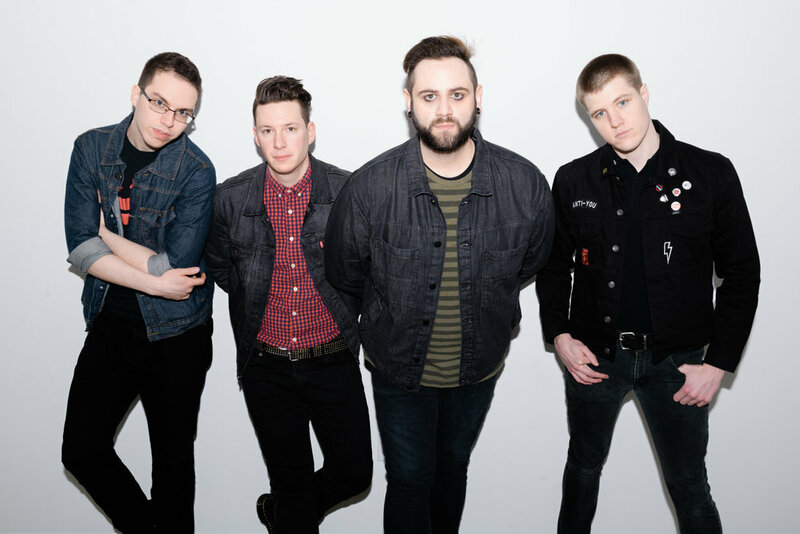 The Split Seconds' 2017 debut album "Center of Attention" highlighted the band's ability to write bold and catchy tunes with a raw edge. Critical acclaim and positive fan feedback helped the group land sets at SXSW and The Fest, as well as opening spots for The Menzingers, Comeback Kid, and The Queers. The band’s 2018 release, "Counterfeit Reality," doubled down on punchy songs with big hooks, and showcased a new level of musical and lyrical depth. Featured on outlets including Sirius XM, Alternative Press, and Punknews, the success of “Counterfeit Reality” led to a run on the 2018 Vans Warped Tour, a second appearance at The Fest, and Washington Area Music Awards for Best DC Punk Album and Best DC Punk Band. Going into 2019 The Split Seconds will be sharing the stage with the likes of Rancid, The Hives, and The Damned at Punk Rock Bowling in addition to touring and preparing for another release. "Fast and heavy pop punk from the nation’s capital. Heavy, catchy, and emotive music. The Split Seconds stand out as a band ready to take the world by storm." "Catchy hooks, hard hitting riffs, and good old fashion punk rock melodies"
"The Split Seconds release a great punk record, with some subtle but great melodies with big choruses that live will make for some great singalongs in the future - an infectious record with a bounce that continues until the end of their self titled."